Summary: When Ole Kirk Christiansen made the decision to change careers from carpenter to toymaker, he couldn’t have predicted the impact he would ultimately have on the world. His family-owned business became the LEGO company. After World War II, Ole Kirk decided to switch from wooden toys to plastic. His son Godtfred took over the business, and ultimately made the fateful decision to focus on one toy—the sets of LEGO bricks the company had begun manufacturing in 1949. Of course, this expanded to the LEGO empire we know today. 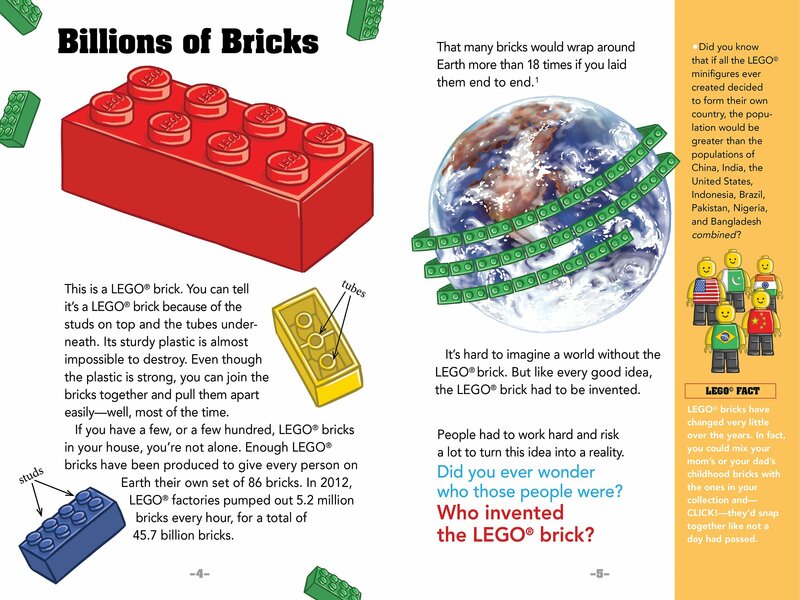 The story goes up to the present, with a couple pages devoted to the development of LEGOLAND and some of the amazing ideas that have come out of the LEGO company. Includes a glossary, index, and book list of other books about inventors. 48 pages; grades 2-5. 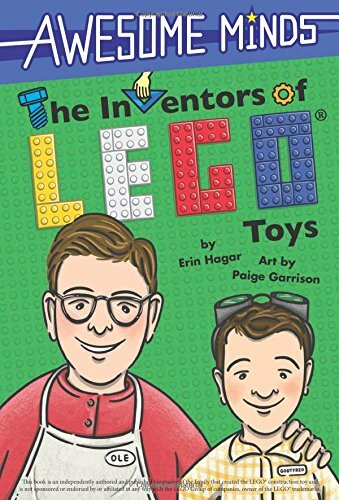 Pros: Filled with colorful illustrations and interesting sidebars on almost every page, this engagingly written biography/history will entertain and education LEGO fans everywhere. Cons: Should we be afraid that if minifigs got together to form their own country, it would be greater than the population of the United States, China, India, Indonesia, Brazil, Pakistan, Nigeria, and Bangladesh combined?